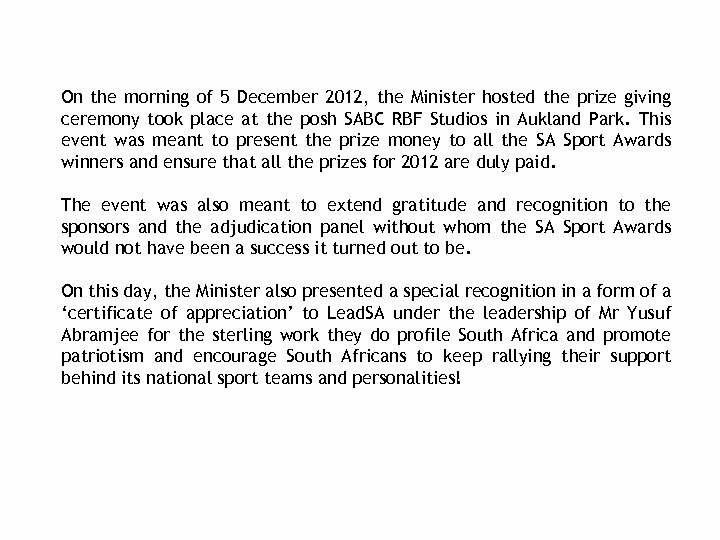 SA SPORT AWARDS PRIZE GIVING CEREMONY- 5 DECEMBER 2012 On the morning of 5 December 2012, the Minister hosted the prize giving ceremony took place at the posh SABC RBF Studios in Aukland Park. 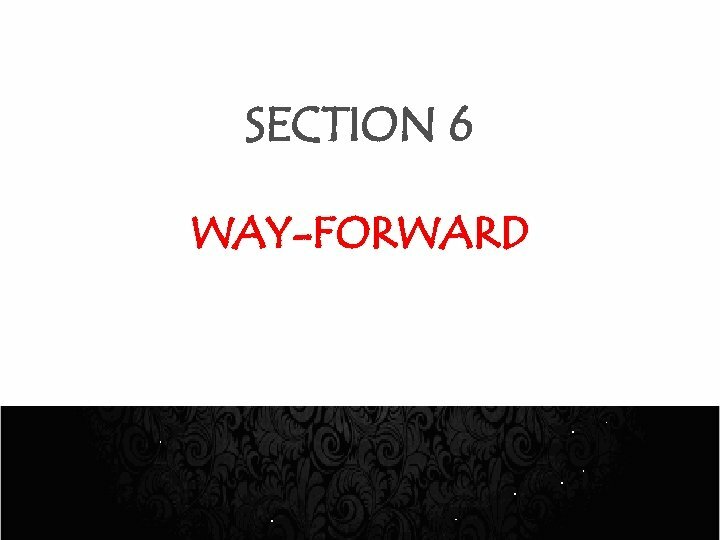 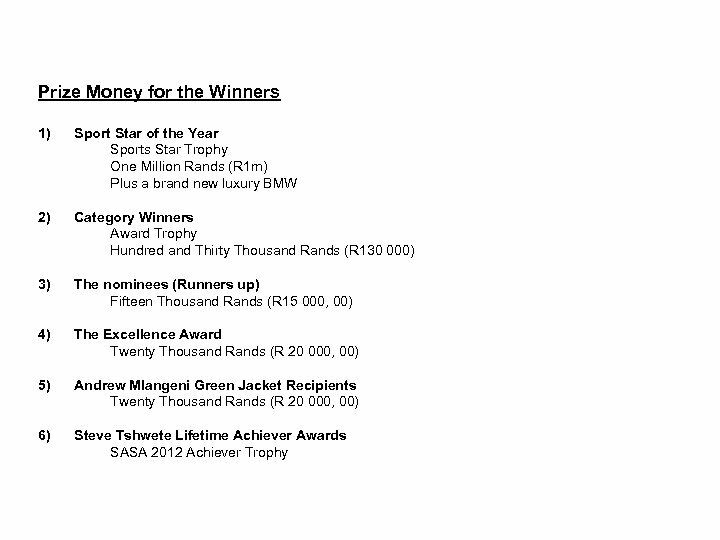 This event was meant to present the prize money to all the SA Sport Awards winners and ensure that all the prizes for 2012 are duly paid. 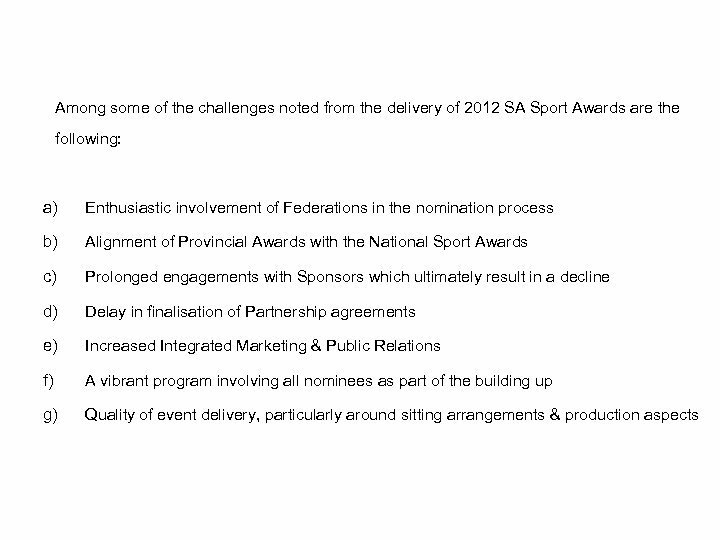 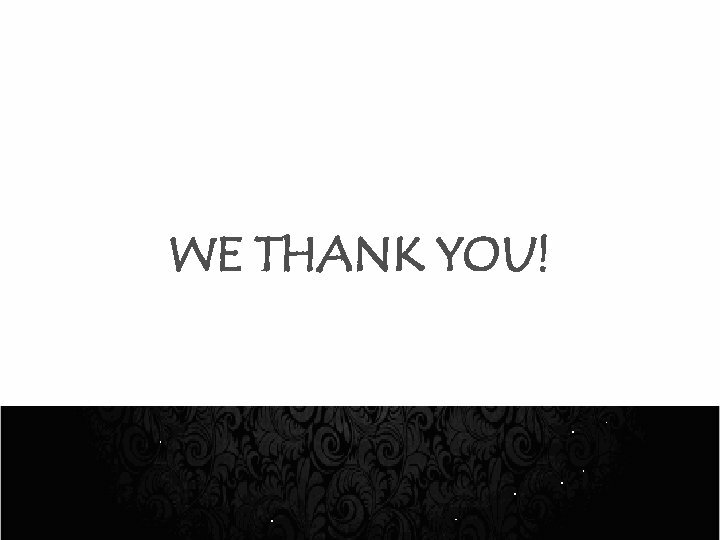 The event was also meant to extend gratitude and recognition to the sponsors and the adjudication panel without whom the SA Sport Awards would not have been a success it turned out to be. 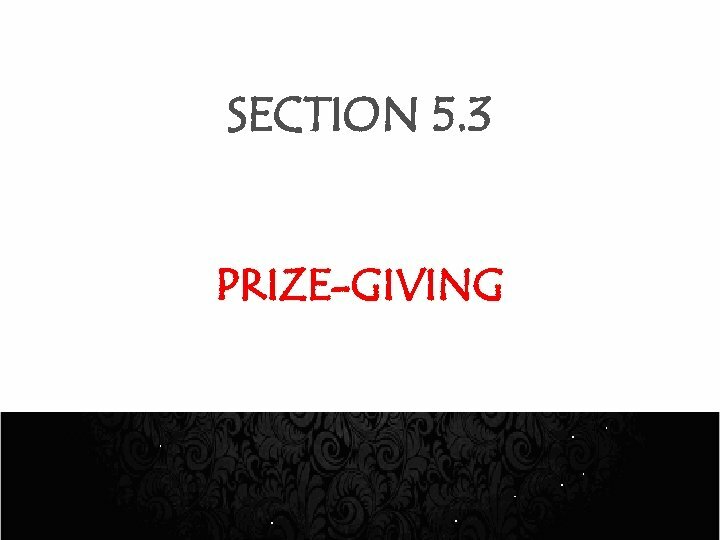 On this day, the Minister also presented a special recognition in a form of a ‘certificate of appreciation’ to Lead. 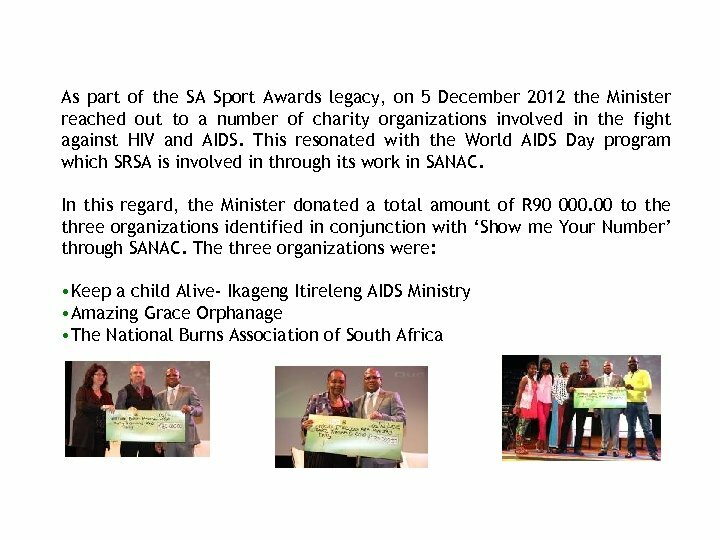 SA under the leadership of Mr Yusuf Abramjee for the sterling work they do profile South Africa and promote patriotism and encourage South Africans to keep rallying their support behind its national sport teams and personalities!